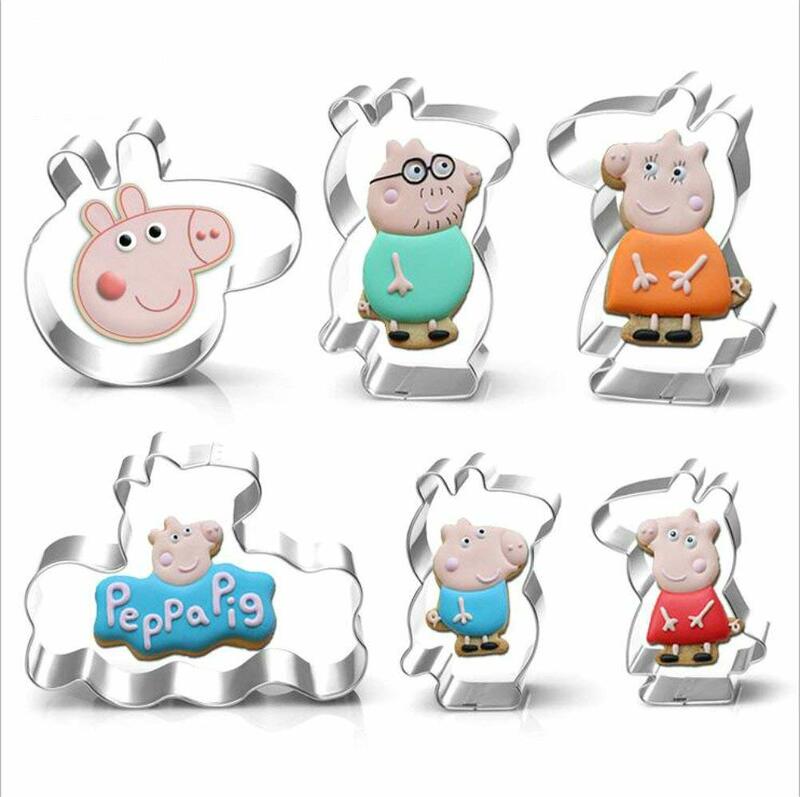 PEPPA PIG COOKIE CUTTERS SET- Every child will dig our Peppa Pig cookie cutters set, so why don't you prepare a Peppa Pig themed party for your kids, or you can have some decorating fun with your kids, I bet that will be funny. CERTIFIED FOOD SAFE - Anti-corrosion stainless steel in 0.3 mm thickness makes it very durable to be used repeatedly. MULTIPURPOSE - Not only perfect for cutting cookie dough, but also a good choice for cutting fondant, bread, sandwiches, jelly, cheese, soft fruits, pancake, soap, or craft clay. EASY & SAFE TO USE, DISHWASHER SAFE - Smooth cutter edge makes it easy to use for adults and kids, and the other side is binding processed, ensuring it safe to press. CONCENTRATED & PROFESSIONAL - Having engaged in making cookies cutters for decades, we only use human-friendly materials with well-rounded technology. Since you purchased our products, you have got 1-year warranty and 30-days no-question-asked return.